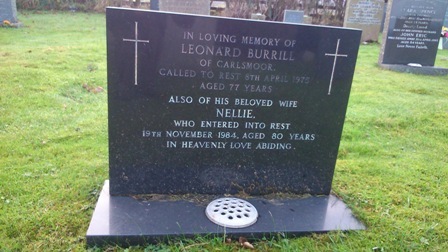 In Loving Memory of Leonard Burrill of Carlsmoor. Called to rest 8th April 1975. Aged 77 years. 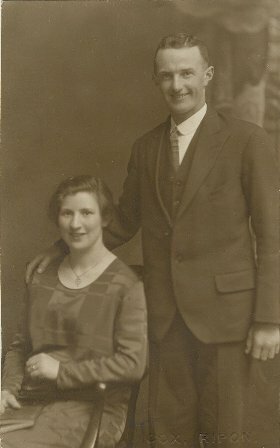 Also of his beloved Wife Nellie who entered into rest 19th November 1984.